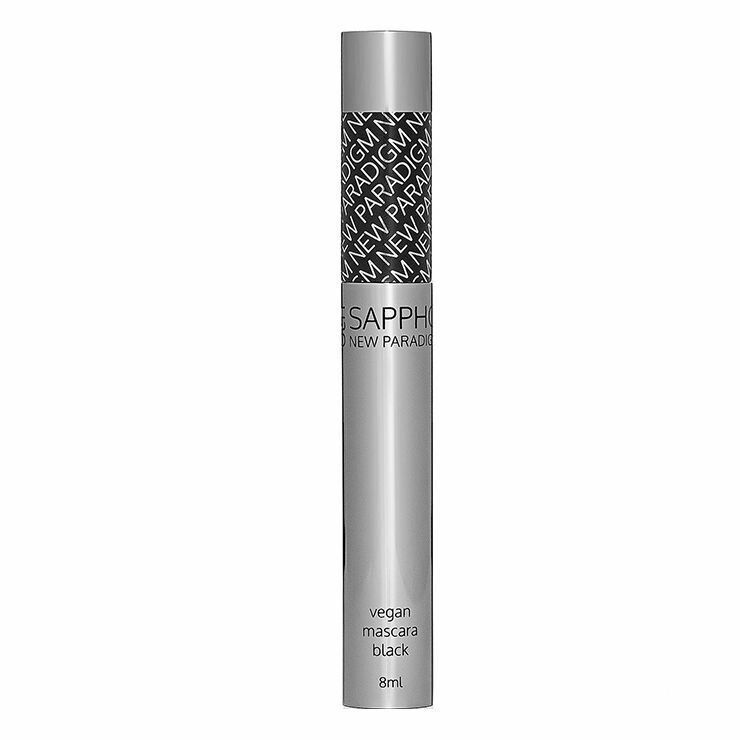 Sappho Mascara offers intense color for your flutter in an exclusive design. 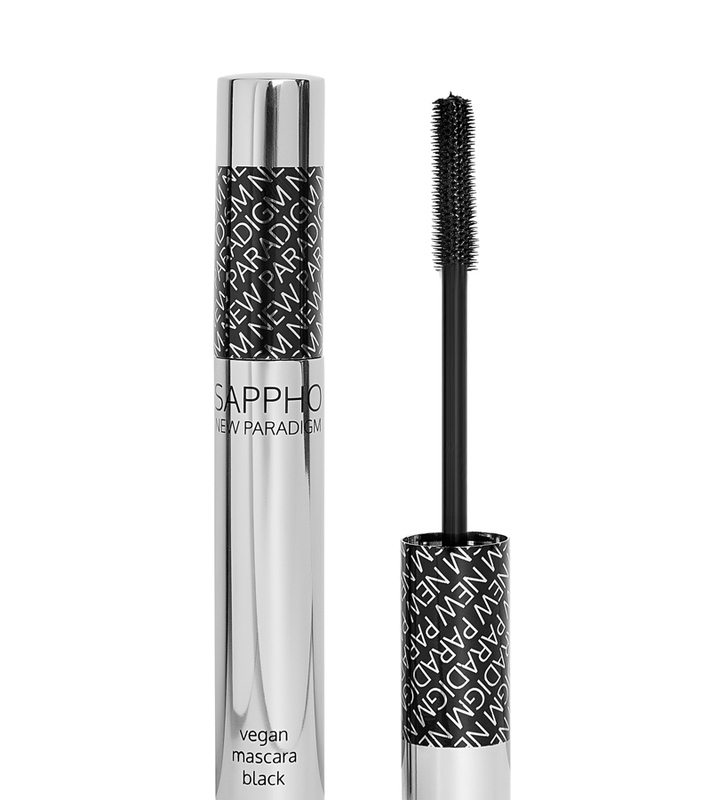 Try on a look of voluminous, glossy lashes with this highly pigmented mascara. The high-tech brush separates individual lashes for ultra-glamorous looking fringe that lasts all day. This formula doesn’t smear or melt off yet is easily removable with water. Goes on silky smooth and feels gentle on eyes. This non-toxic vegan mascara is an ideal makeup must-have to complete any look. Apply two to three coats of mascara to curled lashes for a thick, rich look. May be reapplied as desired or layered on further for a more intense look. Water, Myrica Pubescens Fruit Wax, Glycerine*, Copernicia Prunifera (Carnauba) Wax*, Stearic Acid** Diheptyl Succinate (And) Capryloyl Glycerin/Sebacic Acid Copolymer**, Euphorbia Cerifera (Candelilla) Wax,Cetearyl Glucoside**, Pullulan, Acacia Gum, Cetearyl Alcohol**, Sorbitan Oleate Decylglucoside Crosspolymer **, Glyceryl Caprylate**, Xanthan Gum, Chondrus Crispus (Carrageenan) Gum,Sodium Hydroxide, Phenethyl Alcohol, Glyceryl Undecylenate**, May Contain: Iron Oxide, Ultramarines. One of my best mascara discoveries of 2018! So happy to experience this in the LE makeup discovery! I have always struggled with mascaras smudging and heavy fallout! This formulation is exceptional! No smudging, no fallout, great build-ability for those who like to layer (I've applied three layers with no clumping, or heaviness, all LENGTH!)!!! Definite re-purchase! I'm so glad I ordered the Sappho make up box. I really wasn't expecting anything from the mascara, because let's face it, they aren't many good green mascara's around. Was I wrong though! it's the perfect deep black, gives a good amount of volume, and most importantly, does NOT move all day (but comes off easily with any cleanser). I have tried many others and most of them end up under my eyes after a few hours. Even with an oil based concealer (RMS), this one does not. Just perfect! I have tried almost every cult classic clean beauty mascara and have found that all but one smudge and flake. I have somewhat dry skin, so I use the Maya Chia Super Couple and Eye Achiever, then top with a face cream. Yes, I add lots of moisture. However, even when I add less, other mascaras smudge and flake. 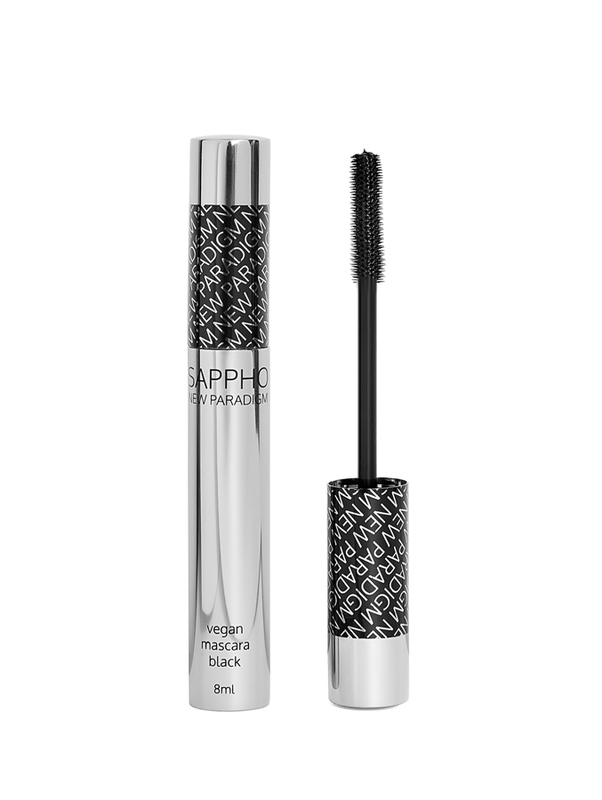 Today is my third day in a row wearing the Sappho mascara using my full moisture routine. And? No smudging. Not at all, even with 10 hour wear. Amazing. I get good length and volume with two coats and, because I prefer a boost to the natural look, I love the result. Wow! This is a real winner. Thanks, BH.